If you are new to e-commerce, you may have heard of a fulfillment center, but are not sure what this is. It is necessary that you know all about fulfillment centers because these are important to e-commerce businesses. Continue reading on to find out more. What Exactly Is A Fulfillment Center? Fulfillment centers allow e-commerce merchants the ability to outsource processes of warehousing along with shipping. An order fulfillment company tends to be some third party business which houses one’s inventory inside their very own warehouse moreover employs their employees to get the orders that your customers make. They then pack concerned products inside boxes plus ship the products if needed. The benefit of this is that online businesses do not need to find physical space that will be able to store their products. This is helpful to those who do not have to capacity and the ability to directly handle inventory. The sellers deliver merchandise to fulfillment centers, then the chosen outsourced provider will ship the products to customers for the seller. Why Are Fulfillment Centers Important? Inventory management tends to be an operational issue for some online stores, nevertheless, it is a vital component when it comes to providing a wonderful customer experience. The benefit of fulfillment centers is that they allow inventory management to be much easier, moreover, let store owners have more time to able to concentrate on other parts of the business that they have. How To Find A Good Fulfillment Center? You may be wondering what to consider when selecting a fulfillment center. Continue reading on to get more information on this. Currently, you may only require a pick, pack as well as ship services, nevertheless later on you may need to launch some special catalog campaign which needs variable data printing along with direct mail expertise. Due to the fact that your requirements may change as time progresses, you need to get a flexible partner who provides many services as well as shipping choices. 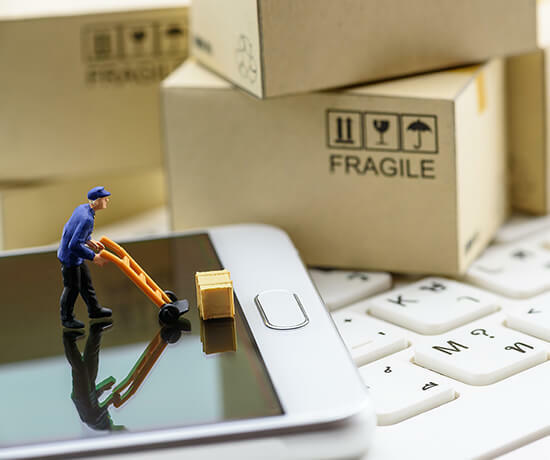 To limit the transit time along with shipping costs specifically of orders that are sent out, you need to consider distribution particularly from a centralized type of location. Therefore if you need to ship orders only nationally then find a fulfillment company that is present around the center of your country. If you need to ship regionally then find the fulfillment center that is located close to the midpoint of the particular region you are in. The center you select needs to respond in a quick way to any orders from customers and also ship these quickly. They need to also respond fast to any alterations within your program, like if you have more workload due to your business getting a sudden upsurge. You need to find the center that will quickly respond to any needs as well as inquiries that you have. From the above, you can see that a fulfillment center is important for your e-commerce business. You need to choose one that will further help your business grow. If you are in search of a logistics company for your e-commerce business, your search ends here. BlueEX is a proven name in e-commerce fulfillment industry in Pakistan. We offer customized logistics for online retail businesses with a core focus on cash handling, management, and settlement. We have a network coverage of over 400 cities and town across Pakistan.